They are the group of minerals in which sulphur is the anion. The cation is often a metal, and these minerals are consequently often valuable metal ore minerals. They include sphalerite, galena, chalcopyrite, pyrite, bornite, covellite, pyrrhotite, marcasite, arsenopyrite, cinnabar and molybdenite. 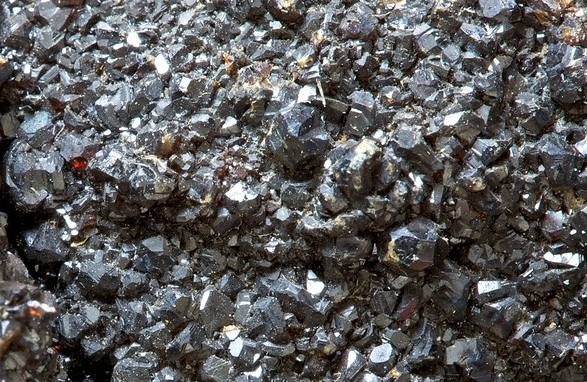 Sphalerite is a zinc sulphide - one of the most important zinc ores, because zinc is not found as a native element. It is often dark grey but can also be brown, greenish, yellowish and even white. It is often botroydal, granular or massive in habit. It forms in hydrothermal veins and is associated to quartz, galena, pyrite, barite, fluorite and dolomite. Galena is a lead sulphide. Just like zinc, lead is not found as a native element, and galena is one of the most important lead ores. It is metallic, lead-grey, and can form many different types of crystals, or be fibrous, granular or massive. Like sphalerite, it forms in hydrothermal veins and can be found in association with quartz, pyrite, sphalerite, calcite and/or fluorite. 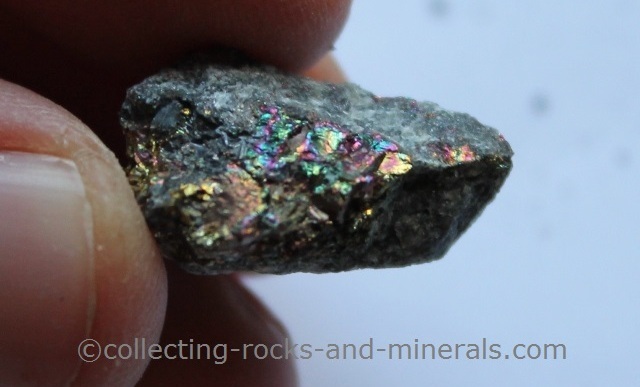 Chalcopyrite is a copper sulphide and an important ore of copper, even though copper also occurs as a native element. 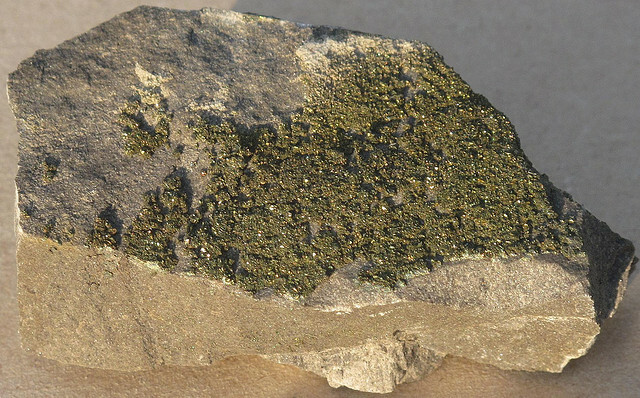 It is metallic, yellower than copper, and can either form crystals or be massive, compact or botryoidal. Like many other minerals in this group, it forms in hydrothermal veins and can be found with quartz, calcite; and other sulphide minerals. 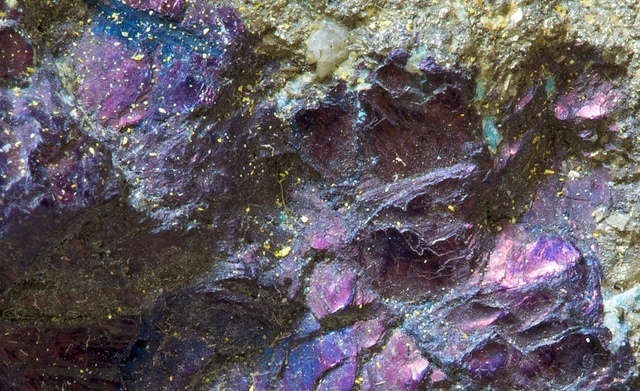 Also called peacock ore thanks to its peacock-like colouring, bornite is another copper sulphide. It has the copper-like red or pink colour when fresh, but tarnishes to the peacock-mix of purple, blue and green. It is formed in hydrothermal veins and can be associated to quartz, galena and chalcopyrite. 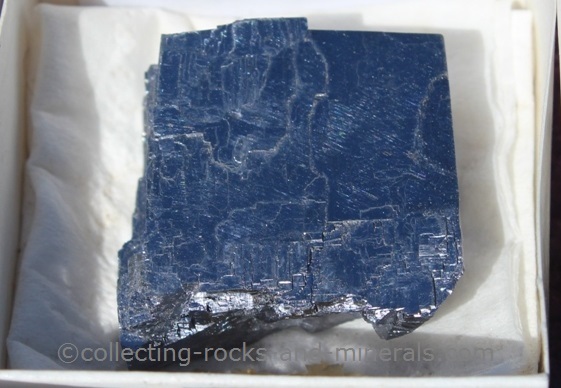 Covellite is also a copper sulphide however it can only be a minor ore in some localities. It is distinctive purple and indigo-blue in colour, and can occur as crystals, but is most often massive. It forms when bornite, chalcopyrite and other copper minerals alter, and can consequently be found in oxidised copper veins. 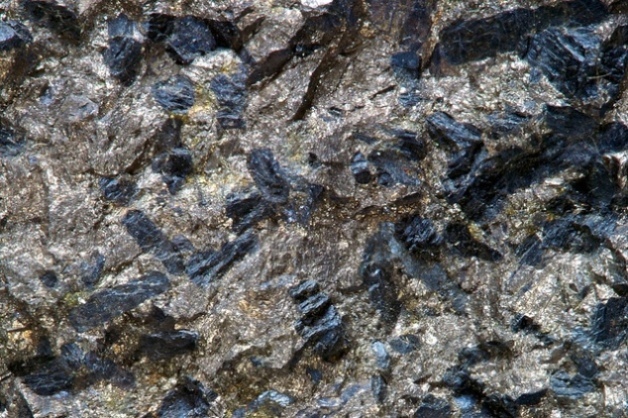 Pyrrhotite is an iron sulfide, however no iron minerals on this page make good iron ores - iron is instead extracted from magnetite, hematite, and BIF (banded iron formations). Pyrrhotite is nevertheless the most common magnetic mineral after magnetite, showing it contains a fair bit of iron. It is a widespread mineral that can occur in many different types of rocks. 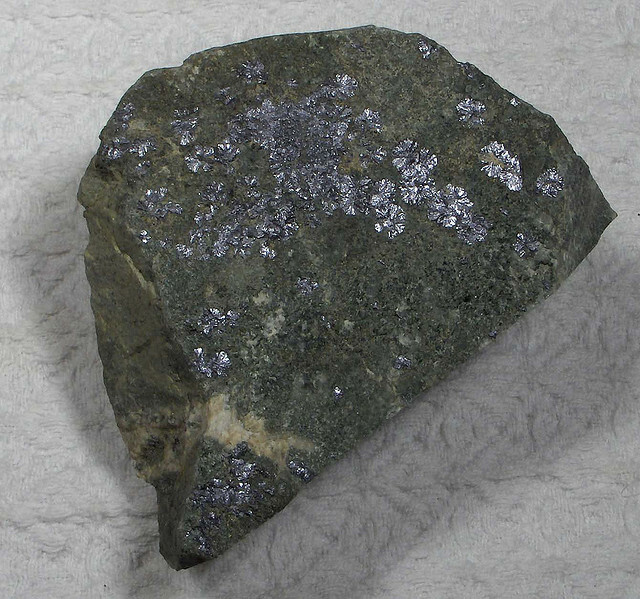 Marcasite is another one of iron sulfides, known for its chemical composition identical to the more common pyrite. The two can however easily be distinguished since marcasite's crystals are orthorhombic while pyrite's are cubic. They are also paler and more silvery yellow while pyrite is more brassy yellow in colour. Pyrite is another iron sulfide and its nickname "fool's gold" comes from its golden colour. 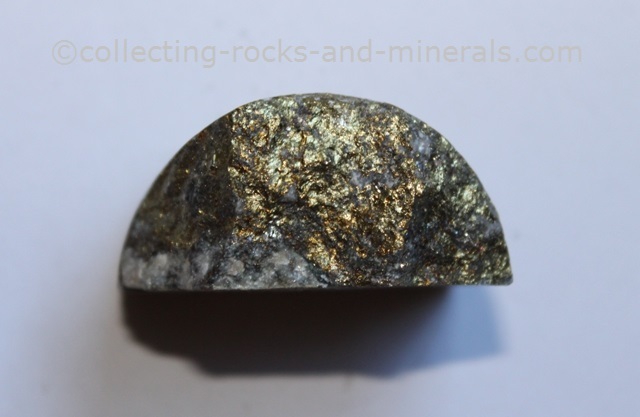 It is, however, much lighter than gold, and it gives off sparks when hit by iron (it can also decay in your collection giving off so much heat that it can light a fire so watch your pyrite). It is a common mineral in hydrothermal veins, easy to recognise thanks to its often well formed, cubic crystals. 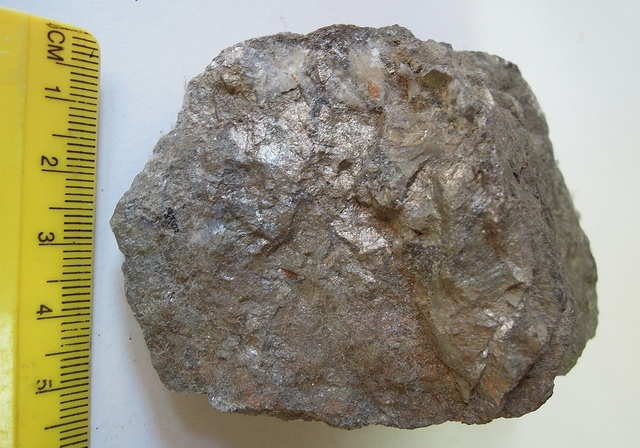 Arsenopyrite is an iron and arsenic sulphide and the most common arsenic mineral. It can be granular or massive, or form monoclinic crystals. It is silvery white when fresh but tarnishes to pinkish and brownish colours. It is often found in hydrothermal veins associated with quartz, gold and other hydrothermal minerals. 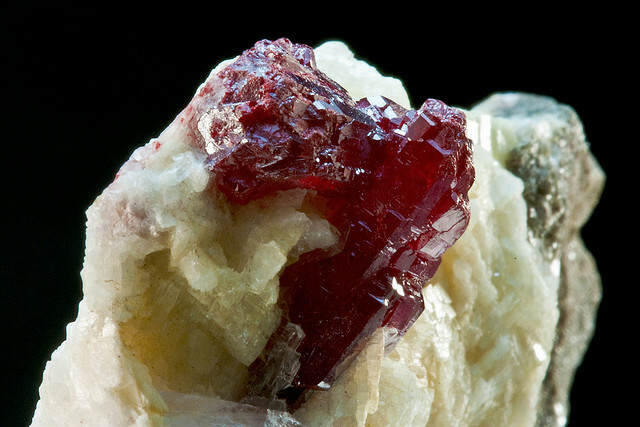 Cinnabar is a mercury sulfide and a major mercury ore. It is most often granular or massive, but does form crystals occasionally. It is scarlet or brownish red in colour. It is a widely distributed mineral, often found near hot springs and volcanic activity, associated to marcasite, pyrite, realgar, stibnite, quartz and calcite. 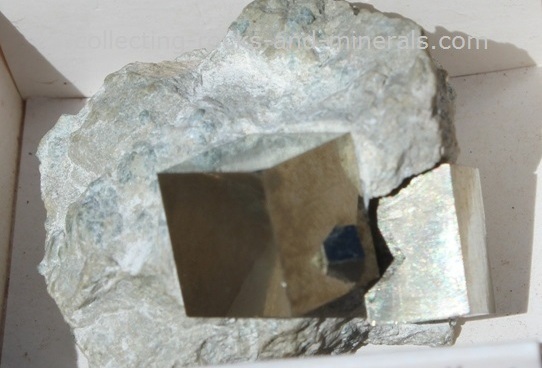 As the name suggests, molybdenite is a molybdenum sulphide and the most important molybdenum ore. It is a greasy, grey-coloured mineral that can be scaly, massive, grainy, foliated or form hexagonal crystals. It is found in hydrothermal veins, granitic rocks, or contact metamorphic rocks.